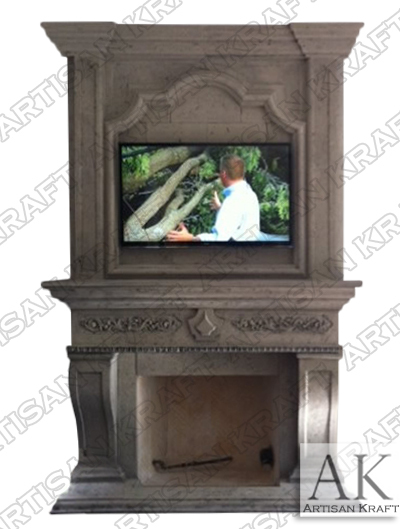 The Leon fireplace mantel can be custom crafted in either cast stone or natural stone. A large cast stone fireplace mantel. A great over mantel fireplace. The TV sits perfects inside the upper mantel with wall paneling behind it.